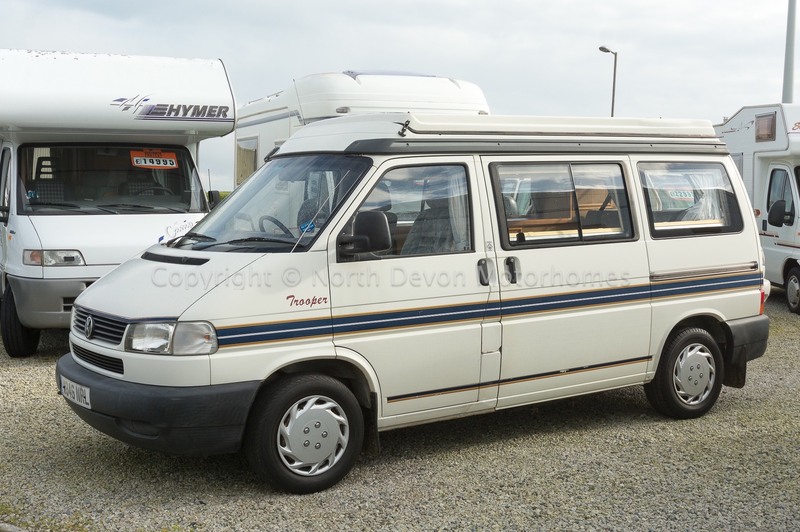 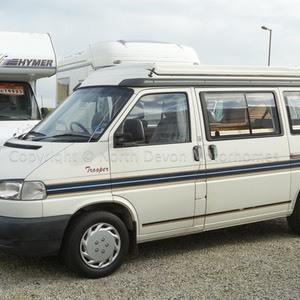 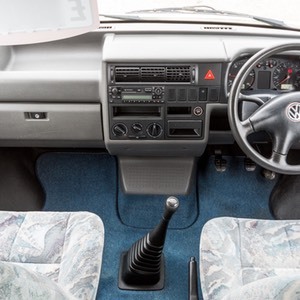 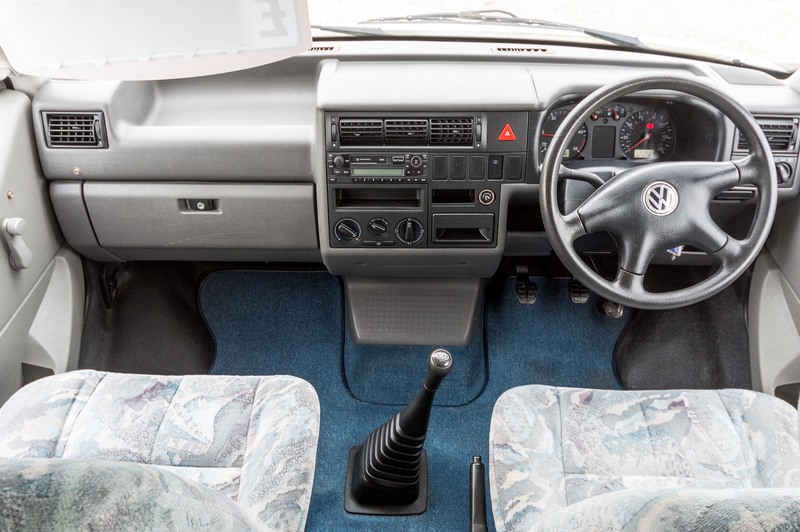 SOLD: Autosleeper Trooper, VW T4, 2000, 2.4 D, Pop-Top, 4 Berth Camper Van, Only 51516. 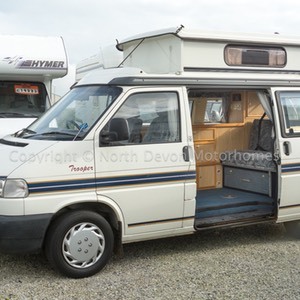 VW T4 AutoSleeper Trooper powered by the ever trusted and mechanics much favoured 2.4 diesel showing low mileage of 51516 Miles, very tidy camper for the year and mileage. 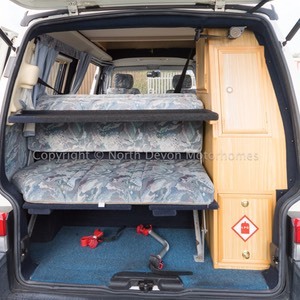 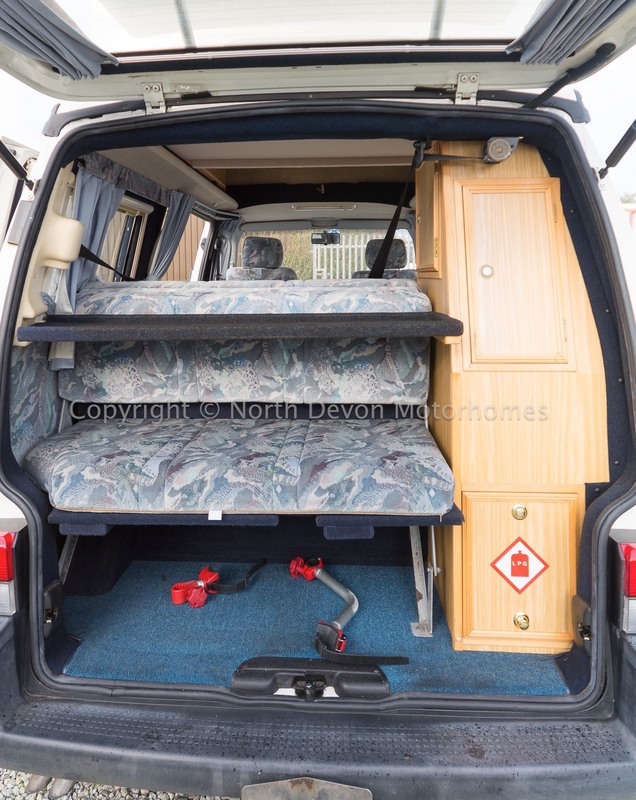 Four berth Pop-top camper van, sliding side door with rear tailgate. 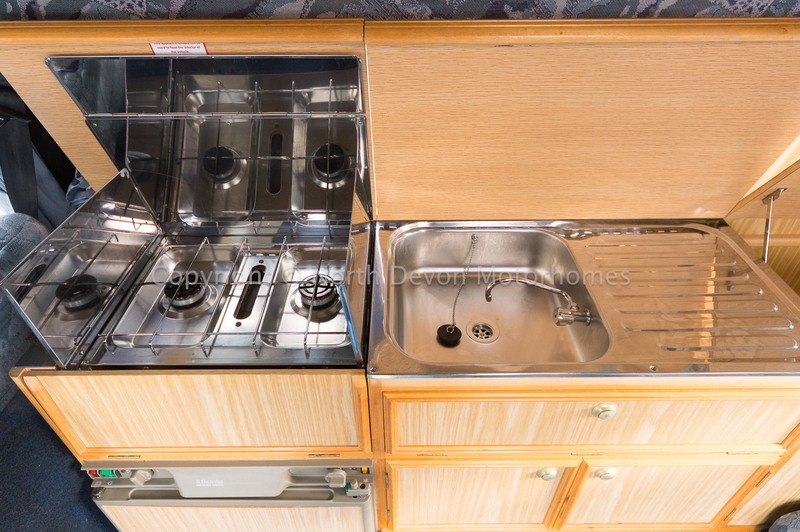 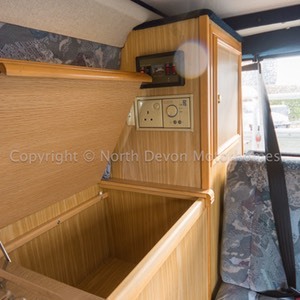 Full length side kitchen and wardrobe, Rock and roll bed, Two 3 point rear seat belts, 2 burner gas hob and grill, 3 way fridge, sink with drainer and cold water tap, Hot blown air heating system. 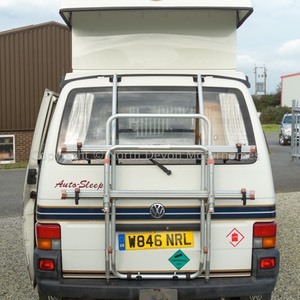 240V mains electric, 12V leisure battery, Bike rack, Tow Bar. 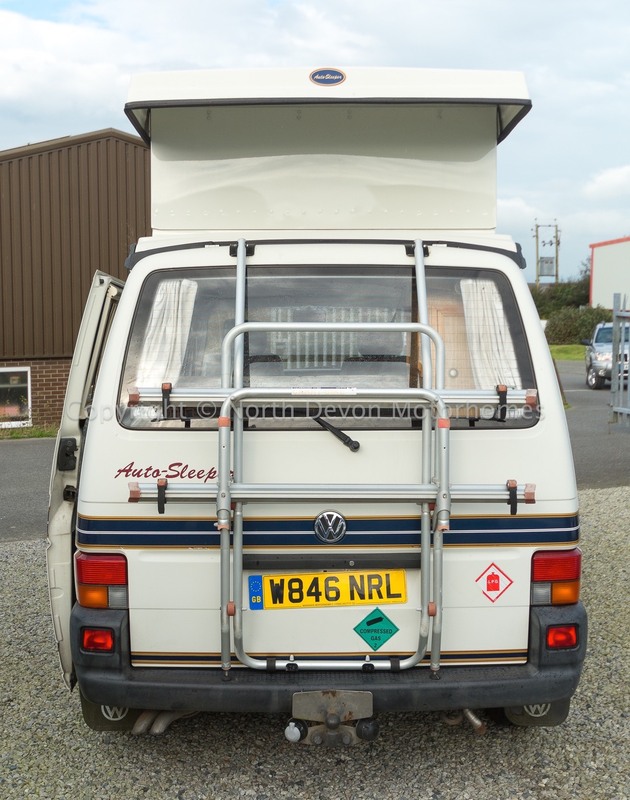 Bike Rack, Tow-bar, 240 Hook-Up lead, Gas bottle, Stereo. 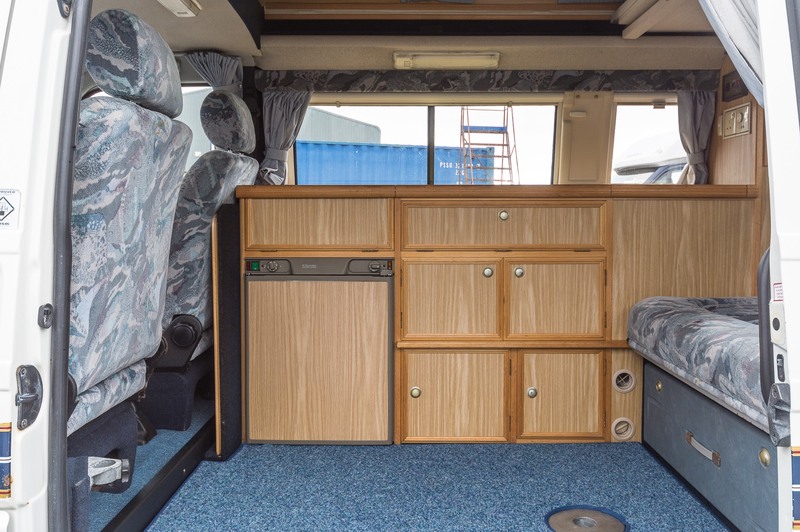 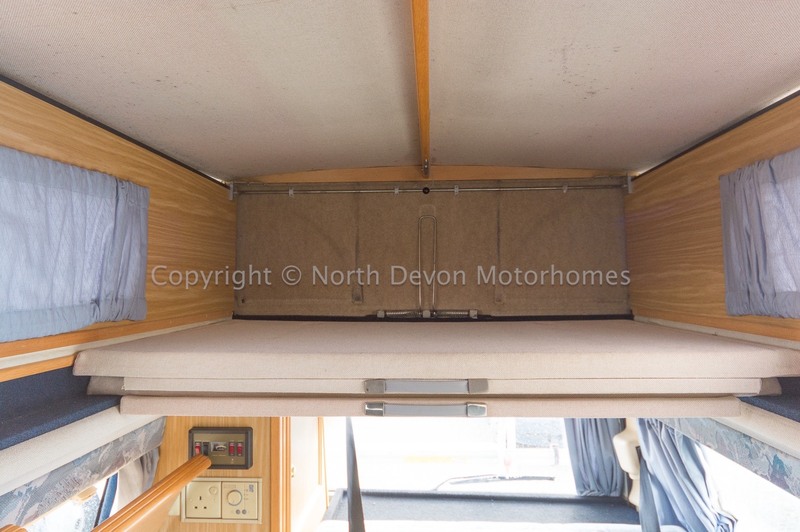 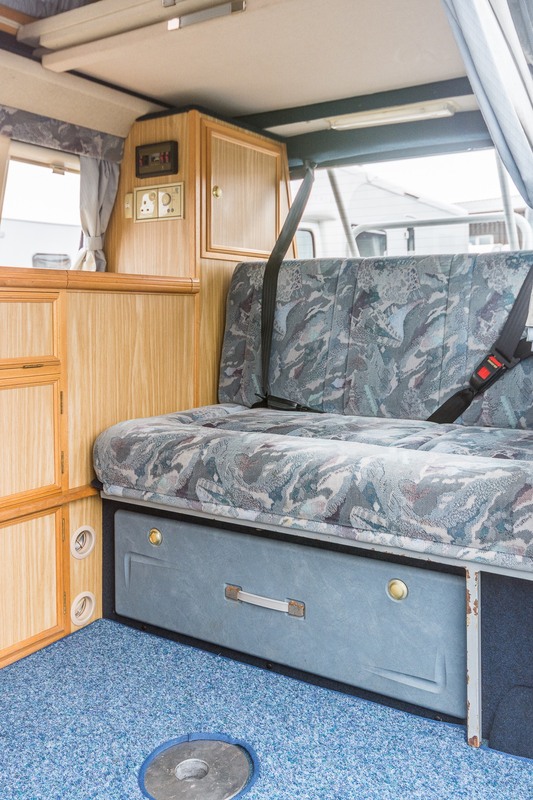 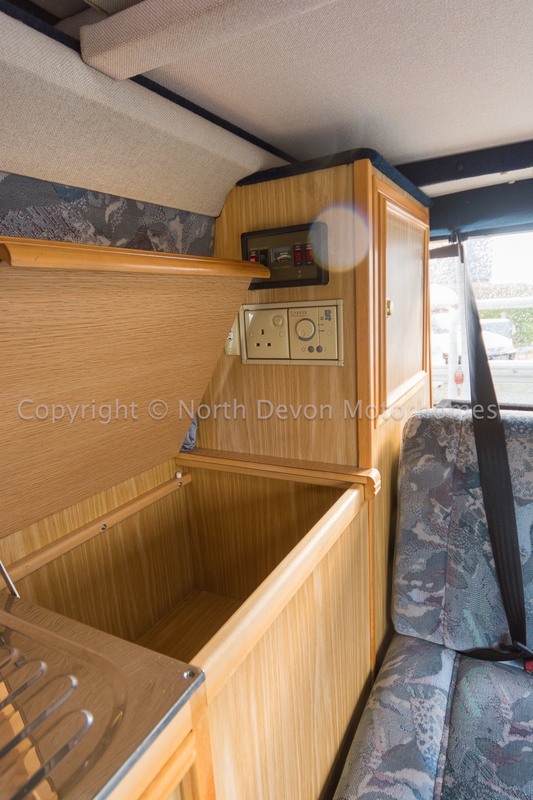 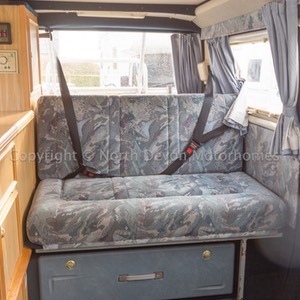 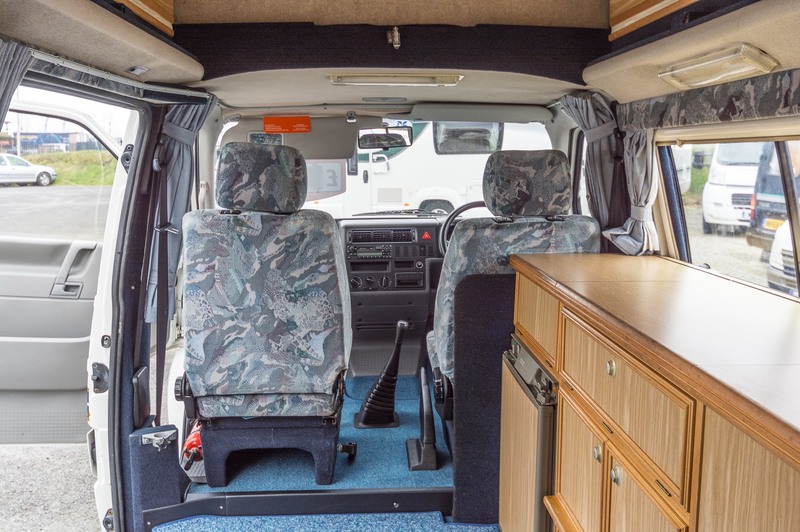 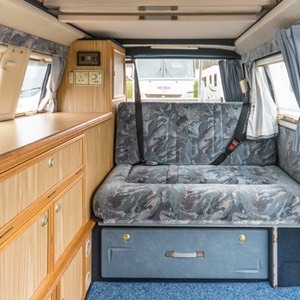 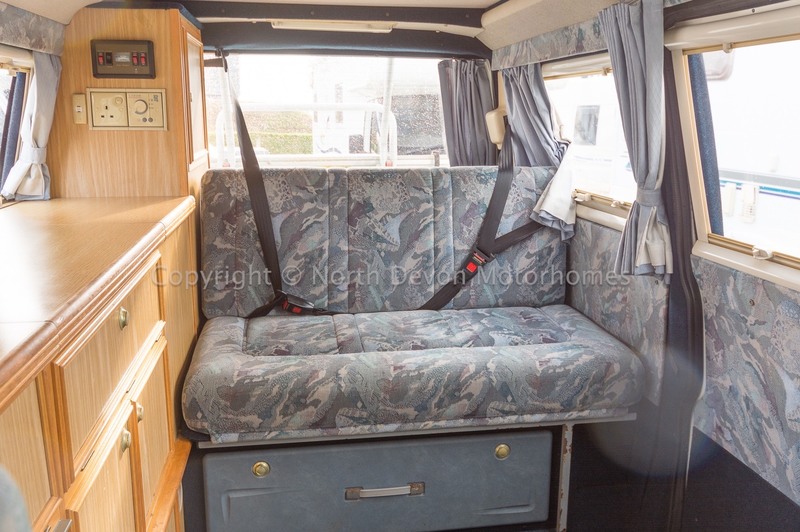 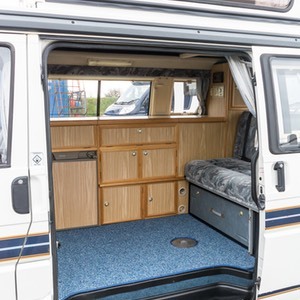 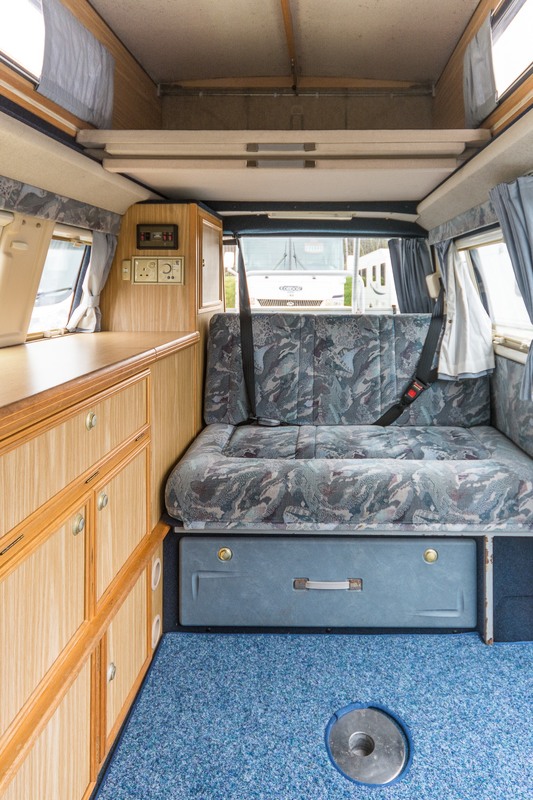 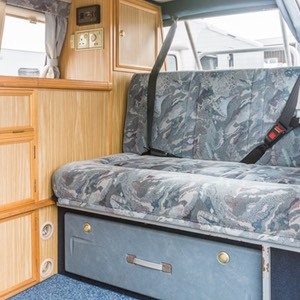 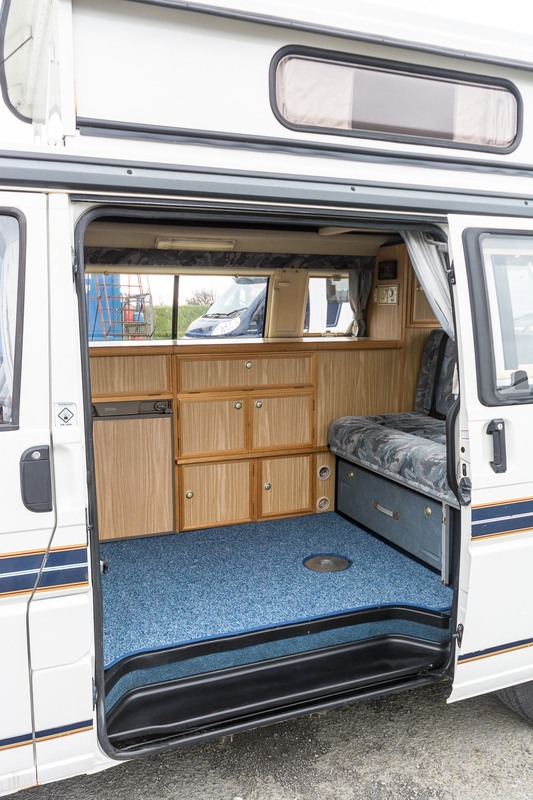 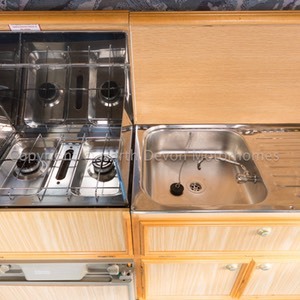 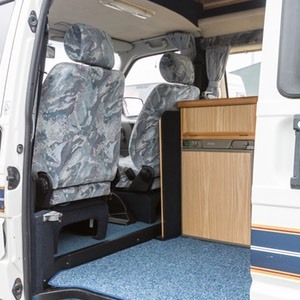 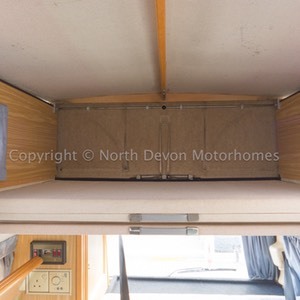 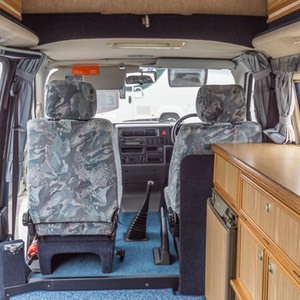 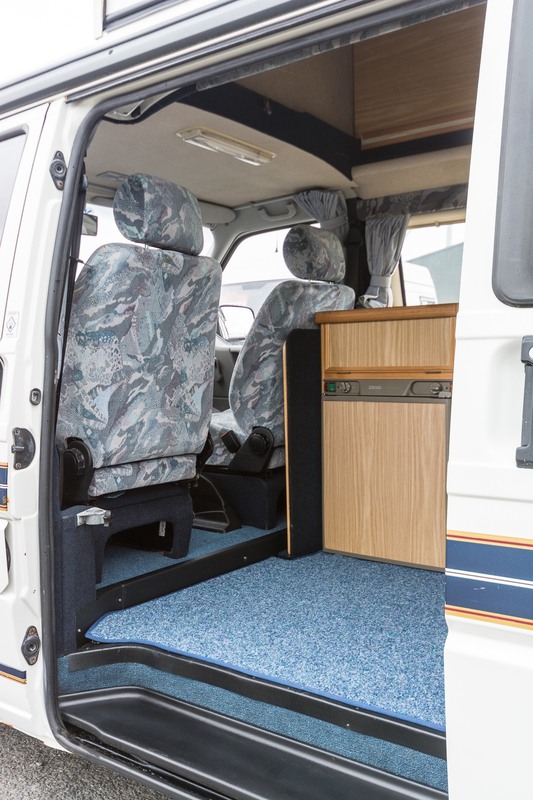 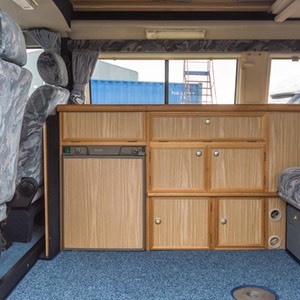 A lovely tidy elevating roof 4 berth camper van, drives extremely well and must be seen. 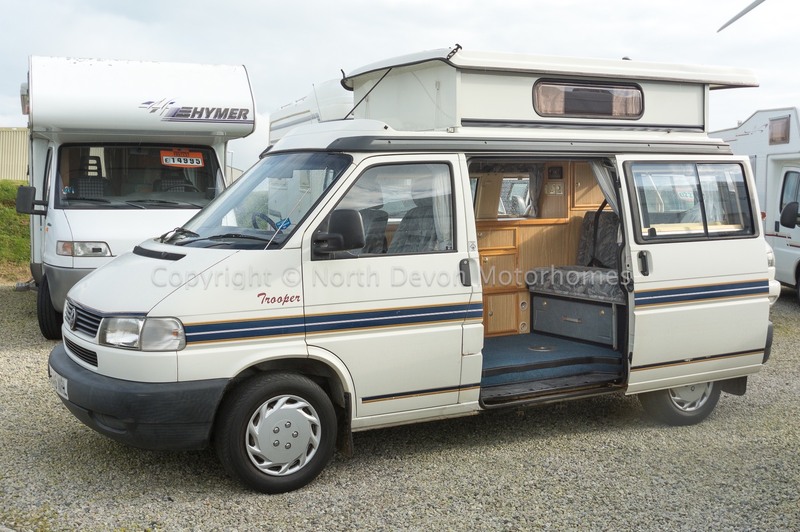 Price: £17,995 Sensible offers and part exchange considered.